There are a few reasons for this..
Case Study - Sgt Harry Tangye is from the Devon and Cornwall Police UK. He's an award winning officer and has just returned from the #SMILEcon held in Long Beach, California. His presentation is on video too at this link. Harry is a natural on camera, if you have not watched Harry - Police Officer Learn2Live then you definitely should. It does not stop there, Harry is also a talented writer at his blog dcarvsgt.wordpress.com. 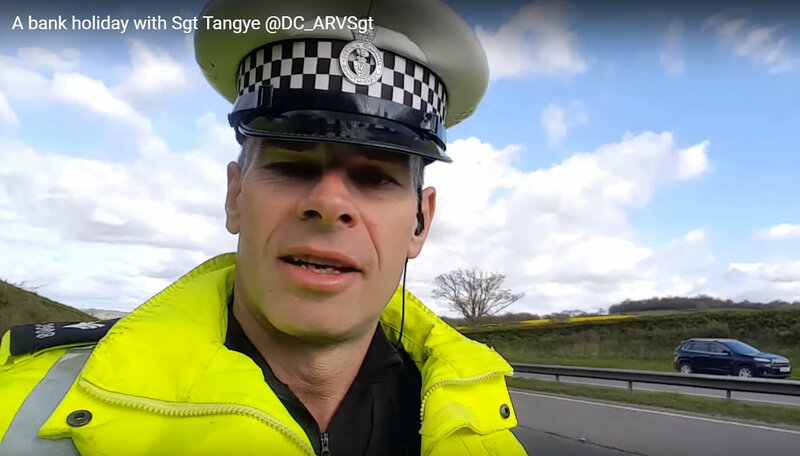 I'm quite delighted that Sgt Harry has started to make videos using an Android phone and PowerDirector. As a serving officer, it's difficult to keep tweeting, keep taking photos and making videos is even more of a demand. That said, he's done it! And now has just passed 500 views. Remember, any Policing usually attracts a lot of attention, this blog is a place of learning and reflection, not a place that 'tells the news' - for that have a read of this piece by Rachael Dodd from the Plymouth Herald called, 'Revealed: This is what a police sergeant deals with every day, A police officer has vlogged his busy bank holiday shift to give people an insight into life in the emergency services'. I've embedded 'A bank holiday with Sgt Tangye @DC_ARVSgt' above. The video is ten minutes in length and is made up of thirteen short clips (from 12 secs to 3 minutes) and a black end slide. Doing the math, the average clip length is about 45 seconds. 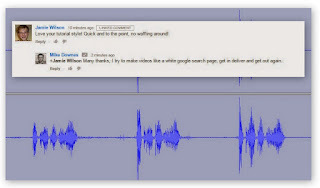 We can see animated text and image overlays, along with a selection of transitions between the clips. From a production and PowerDirector point of view what can we learn that will help others? I particularly like Harry's style of being on camera, with an over his shoulder view. A couple of clips stand out for me that show off some pre-planning. Did you spot them? Have a look again at 1:04 (drives off) and 6:52 (drives back) where the camera is fixed, maybe on a tripod. This technique is just brilliant and done right, so effective. There are a couple of really excellent post edits too - a text overlay to correct the RAC not AA and also a few images overlays that highlight a press clipping and a Police Dog on the back seat. Social Media Policing is tricky business, especially when tweets, photos and videos get shared in more than one place quite quickly. 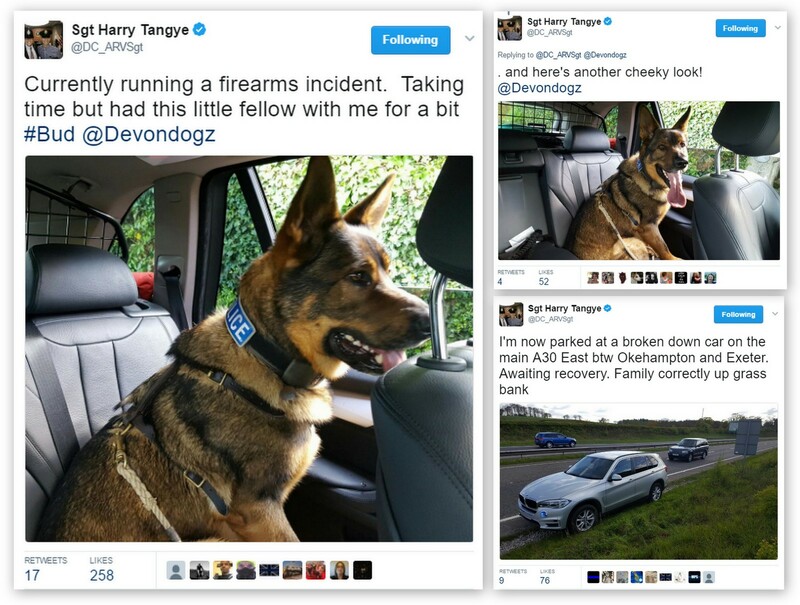 Here are three images from tweets that Harry made on that same shift - 1, Car 2, Police Dog Bud 3, Police Dog Bud again. There are 1,000s of police officers on twitter in the UK (more like 5,000 at least) - all use words, some photos - but not enough video. And as for edited video - that is a needle in a haystack. Of course I cannot read all those tweets each and every day. If you have seen edited video from an officer, please let me know. I'm not counting live video as that's a one take camera roll - and a different topic (loads of live video posts on this blog). It's also no secret I've helped many Police Officers in the last six years to enhance their Social Policing using video. All I can do is lead by modelling and keep encouraging those who like Sgt Harry Tangye want to have a go. I cannot wait for the next video diary. Notes on using PowerDirector Myself - My video editing speed using PowerDirector (PD) has grown out of control. The rate at which I can make videos is quick. The more you do, the more you get a rapport with yourself, a flow, a pattern. In Jan 17 alone I made 50 video and 43 of those were on mobile. I have have 21 PD Help Videos and 28 on the playlist in total. My aim right now -- get to grips with EVERY FEATURE the PD Android App has to offer. I am pretty close to finishing all the testing and the finding of new buttons to push. Just because a mobile is small and lightweight and an App like PD is cheap at just £5.00 UK, does not make it trivial or a gimmick. In other words, people need to step up and realise the immense potential in this App. I now produce 1920 x 1080p videos at 60fps that render in a just a few minutes. Something I could ONLY dream of on Windows 10 desktop using Vegas. That's not to say Vegas is not a good piece of software, because it's brilliant. And Windows 10 is brilliant too -- it's just Mobile Android and PD are so freaking easy to use. I need not sit at a desk in one place, use a second monitor and a mouse, but relax lying down on a bed, or slouched in any of chair or even even be out and out in any place I can imagine -- and still edit fast and with ease. In the last week, I've made videos on.. I'm thinking about Vertical Video Diaries next or Talking Books. look closely how YouTube are displaying vertical videos. Watch this example I've made. 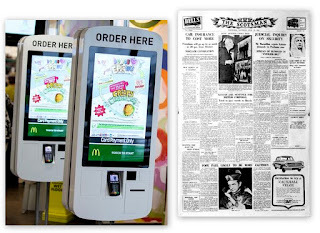 These vertical HD Screens are seen everywhere these days. 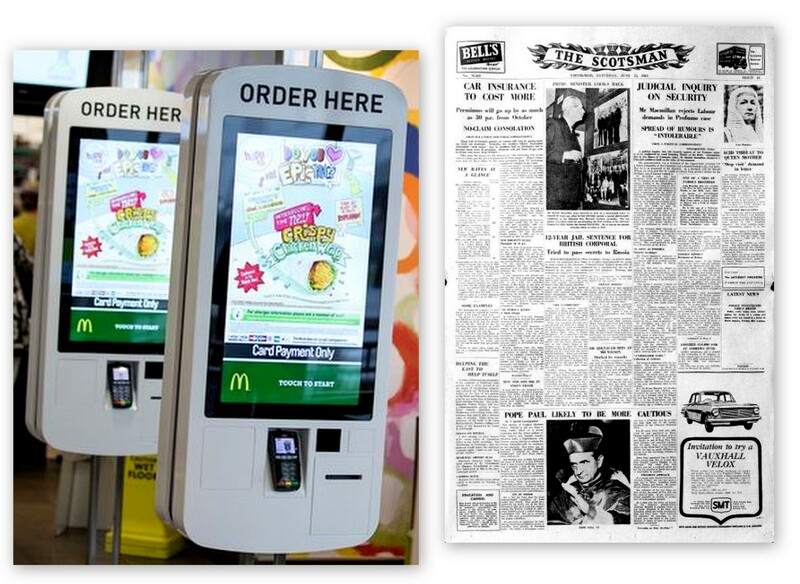 Been to a McDonald's recently, or a train station, shopping mall or the lobby of a hotel? Quite intriguing. Of course the widescreen is not lost - it just has it's place. Any photo or video is all about geometry, if you have not seen Walter Mitty (2013), then go have a look - every scene has perfect framing, see slide on the right. But we the video editors are in the design driving seat - and it's our choice what videos we make. Armed with a mobile, and PowerDirector - go surprise yourself. You need gumption and a creative eye, and the will to try -- not endless excuses on built on 1,000s of $s of unnecessary kit. Viewer Feedback - And using YouTube Analytics, we know, like instantly know by looking in Realtime (which updates every 10 seconds), we can see the geography, device type and operating system. My favourite metric has always been audience retention or average view duration - it's really the same thing. End Point - PowerDirector on Android (or iMovie on iOS) is a superbly strong and simple video editing suite in our pocket. Mobiles are everywhere and a super powerful - yet I rarely come across anyone who uses their mobile to it's FULL potential.